The TRUE GREEN ALLIANCE (TGA) is an amalgam of people and organisations in southern Africa that support and promote the sustainable use of living resources for the benefit of mankind. In this mail the TGA alerts the Southern Africa Development Community (SADC) countries with regard to an undesirable state of affairs that has developed within CITES (The Convention on International Trade in Endangered Species of Flora and Fauna) consequent upon the convention accrediting animal rightist (AR) NGOs to it administration. The TGA’s vision is: To create a southern African (ultimately global) society that is properly informed about the principles and practices of wildlife management; that understands the wisdom of, and necessity for, the practice of sustainable utilisation of living resources (both wild and domestic) for the benefit of Africa’s people (and ultimately the people of the world); that supports genuine animal welfare; and that rejects animal rights – the doctrine of which seeks to abolish all animal uses by man. The TGA’s principle purpose is to destroy whatever credibility the animal rights doctrine currently enjoys within human societies everywhere. Stopping the illegal wildlife trade. The illegal trade in wildlife and wildlife products was getting completely out of control in the early 1970s. That there was a need for such an organisation in 1975 there is, therefore, no doubt at all; and everybody was easily persuaded to support the aims and objectives of the convention. Today (42 years later) 183 sovereign states have joined CITES and they have all complied with the terms and conditions of the convention’s membership rules. NB: Full membership of CITES is confined to the sovereign states of the world; and each sovereign state – upon becoming a member – is given a single vote. So, 183 votes are the maximum number possible at the convention at this time. What most people seem to have forgotten is that CITES is (or should be) all about the convention satisfying the wildlife trade needs of its 183 sovereign state members. These are the convention’s only FULL members; the only members who hold a vote; the only members who own the animals and plants that appear on the convention’s agenda; and the only members who will win, or lose, when the votes are cast. Nevertheless, CITES CoP17 (Johannesburg 2016), drew the attention of 3500 non-sovereign-state delegates. These were people: who don’t own a single wild animal or wild plant; who have no accountability for the decisions that are made; who are not materially affected by good or bad decisions; and who – amongst them all – don’t hold a single vote. One has to wonder therefore just WHY such people attend CITES meetings at all? What is abundantly clear, however, is that the convention was not created to satisfy these people’s interests, or to take cognizance of their demands. NB: We will find out just why the animal rightist NGOs (AR NGOs) attend CITES meetings, in the litany that follows; and why they come to convention meetings in such large numbers. At Cop17, one particular AR delegation deployed a team of 38 individuals; and several other AR NGOs fielded smaller but nevertheless still extravagant numbers. What on earth were all those people doing during the proceedings if not intimidating the sovereign state delegations by their sheer mass – before and during the voting periods; and/or checking up on how the sovereign state members cast their votes? They were also swamping the electronic communication system when, during the official debates, the CITES Secretariat called for interventions from the floor. There were so many AR fingers pressing the response buttons, demanding the secretariat’s attention, that the much smaller sustainable-use-lobby found it very difficult to register any of their points of view at all. And THAT was probably the main reason for the ARs fielding so many delegations/delegates. The superior numbers of their interventions most certainly generated the most public attention. NB: The ARs have used this strategy for years – all over the world wherever conventions are held; and they don’t miss a single beat! Their gigantic public exposure – whether it be in the form of their enormous and overwhelming advertisements on the street poles outside the convention centre, in the maximum number of their voice interventions during the official CITES debates, or in the sheer mass of their presence – creates an aura of AR dominance that swamps every other nuance at the convention. And this most certainly affects the way the media, the sovereign state delegations and the general public, interpret the AR presence at CITES. By all these subterfuges the ARs project a distinct and pervasive quality of superiority and self- importance that is lost on nobody. And it is within this atmosphere of apparent AR superiority that the vitally important CITES debates are conducted. It is understandable that the Secretariat has difficulty making the debates equitable – when there are so many people wanting to intervene – but that doesn’t change the fact that the results of such debates are normally skewed in favour of the majority AR opinions. And that majority opinion most certainly influences the way many sovereign states – who, anyway, are mostly badly informed about the management needs of the many strange and different species subjects on the agenda – vote. And it most definitely affects the way the proceedings at CITES are portrayed by the media. This is truly not desirable when it is considered that: it is some sovereign state’s treasured wildlife heritage that is being auctioned during each of these debates; when the AR people passing comment in the majority, have no “emotional ownership” over the subjects on the agenda; when many of the people making the interventions have dubious ulterior motives (they want to stop trade rather than see it better regulated); when they have no accountability for the decisions that are being made; and when the great majority of the sovereign states – who are required to vote on every issue – have no real knowledge or interest (they have no emotional connection) with the subjects concerned. The membership rules demand that members surrender, to the convention, their sovereign rights to trade internationally in their own wildlife and wildlife products. They are also required to agree to whatever the “consensus” vote all these sovereign states may determine. NB: These are the two issues that currently make the manner in which CITES operates – especially when the activities of the dominant accredited animal rightist NGOs are thrown into the mix – inequitable, unworkable and unfair. Let us examine the first of these issues. The fact that even one sovereign state could be persuaded by an international group of political appointees (The CITES Secretariat), to surrender any of its sovereign rights to a convention comprising multiple foreign agencies, is unconscionable; and that 183 sovereign states have done so without any apparent qualm is unbelievable. And they seemingly meekly handed over the well-being of their greatest national treasure to a group of strangers (the 183 sovereign states who hold the power of the vote). The second issue, the fact that 183 sovereign states collectively make the ill-conceived consensus decisions – which, incredibly, all the sovereign states have agreed to abide by – is, however, not the totality of this topic. The biggest criticism of all is that most of those who decide what the consensus decision should be (YES or NO), do not own a single animal (or plant) of the species they are voting upon, and they have no accountability whatsoever for the results, good or bad. Those sovereign states who actually own these species, surely, deserve to have their valuable wildlife assets treated with much greater respect and honesty by such an august body as CITES? In fact, the ONLY people who should be making these decisions, debate by debate, are the respective owner states themselves. Nobody else has their qualifications. Nobody else has the vested emotional interest in the subjects concerned. Neither do those states that don’t own any of these species, have “the moral right” to pass judgment on what these species’ best practice management should be! But the die has been cast long ago. It would probably be impossible to now change this voting system for something that is more ethically correct and fair. Nevertheless, everyone who seeks transparency and honesty in such matters should be prepared to try to make the necessary changes. The fact is that, for decades, many vital CITES votes have been purchased (or otherwise acquired by certain NGOs) from corruptible sovereign state delegations (or single delegates); and they have been used to manipulate the critical outcomes of many consensus votes. This fact prejudices the installation of best practice wildlife management programmes everywhere – best practices that CITES should be fostering! In 1987 and again in 1989, I interviewed the same two poor-country delegates whose return air flights; accommodations; restaurant bills, bar bills – even ladies of the night bills (they told me) – had all been paid for by an AR NGO. In return they had agreed to vote as their benefactors dictated. And in 1989 there was a third one. These arrangements had – so it seemed – become a regular pattern of events for all the parties concerned at every CITES meeting. It had become a racket that they shared. At CoP17 in Johannesburg in 2016, it came to light that several NGOs had what they called “sponsored” the costs of the visits of many poor-country delegations – again at the cost of their votes. The guilty NGOs, therefore, had contrived a seemingly innocuous (and, on the surface, laudable) way to pre-purchase the outcome of the consensus voting – long before any debate on the subjects concerned had been conducted. This activity is not only obnoxiously corrupt, it has rendered the validity of the already badly contrived consensus voting system, even more questionable. Within the framework of CITES there is a concept called “range state” which defines a country where a particular animal species is endemic (occurs naturally). In the case of the African elephant, there are 37 elephant-range- states (countries in which elephants occur). Amongst the 183 sovereign state delegations at CITES, therefore, there are also 146 non-elephant range states (states which have no elephants). The ratio of range-state to non-range- state – with respect to the African elephant – therefore, is 37 : 146 (or 20% : 80%). It would probably be safe to say that none of the non-elephant-range-state delegates in 2016 had ever seen an elephant in the wild, let alone did they know anything about its local circumstances in Africa; or about its ecological management needs; nor did they know, or care, about the integration-with-mankind plans that the 20% elephant-range-state governments may have been contriving to implement. NB: It is becoming ever more widely accepted that for Africa’s wildlife to survive into the next century, it will be necessary to create symbiotic partnerships between Africa’s wild animals – especially its very valuable elephants and rhinos – and Africa’s rural people. None of the sovereign non-elephant-range-state delegations could possibly know why this was necessary, and/or how it can be implemented – yet they were still empowered to make decisions that could make or break such vitally important plans. Furthermore, it is doubtful that any of the delegates of the 80% non-elephant-range-states have any particular empathy for elephants or real concerns about their fate. Whatever happened to the African elephant – good or bad – resultant from their contribution to the consensus vote, therefore, would affect them not one little bit. And people with so little interest in a species can be very easily bribed by an NGO with money to spare. And we know that that has happened time and time again. The ratio differences between range-states and non-range-states – for every species in the world – is numerically always heavily distorted in favour of the non-range-states (Examples: white rhino 5 : 95%; orangutans 1 : 99%; and walrus 3 : 97%). So the dice is always very heavily loaded against the range-states’ genuine interests. And in a public atmosphere created by falsely contrived AR propaganda – which erroneously proclaims most wild animal species to be endangered – it is not difficult to persuade uninformed non-range-state delegations to the animal rightists’ point of view. And their point of view is always to prohibit trade. So the range-states – in actual fact – haven’t a hope in Hades of ever succeeding in any trading proposal that involves iconic animal species like elephants and rhinos. And, that being the case, one has to question the wisdom of any intelligent sovereign state associating with CITES at all! NB: At CoP17 (Johannesburg), when the votes were cast to approve or disapprove the highly emotional Swaziland proposal to sell its stockpile of rhino horn – to create a lasting fund that would have financed Swaziland’s wildlife management programmes forever – the consensus result was to ‘disapprove’. After the vote, however, the Swaziland delegation was visited by over 20 sovereign state delegates who came to commiserate with Ted Reilly (the head of the Swaziland delegation). They told Ted that they had wanted to vote in favour of the Swaziland proposal but that their sponsors had refused to allow them to do so. Their AR masters had commanded them NOT to approve! People with such little backbone should not be referred to as “delegates”. They should be called “their AR paymaster’s puppets”. If they cannot vote as their consciences dictate, what good are they at CITES? What good are they to Africa’s wildlife? What good are they to humanity? Animals do not organise themselves at the “species level”; they organise themselves at the “population level”. Behavioural factors such as home range, territory, bull dominance and habitat carrying capacity cannot be applied at the species level. Such things only make sense within populations. And many other biological realities also only apply at the population level. NB: A SPECIES is a group of individual animals that share the same physical and behavioural characteristics (they look and act alike) and which, when they breed, produce fertile offspring with the same physical and behavioural characteristics. Africa’s bush elephants (Loxodonta africana) – a single species – range over 37 countries; and they occur in 150 different populations. Each of these populations is unique insofar as each habitat, and the general environmental conditions that pressure it, are different to those applying to all the other populations. Some elephants live in deserts. Some live in swamps; others in montane forests; others in grasslands; and yet others in savannah ecosystems. Some populations are heavily poached by man. Others are not poached at all! Depending on many such things, some populations are UNSAFE and in decline; others are SAFE – existing in good numbers and breeding well. Yet others are EXCESSIVE – there are too many elephants for their limited habitat resources to sustainably support. The management needs for UNSAFE elephant populations is preservation management (protection from all harm). SAFE populations require conservation management (common sense sustainable-use – including harvesting, hunting and/or culling) to stabilise their numbers and to protect their habitats from over-use. EXCESSIVE populations need rapid and drastic population reduction (such as cutting the population in half very quickly, if need be) to save their sanctuaries habitats and their overall biological diversities. There is no universal management application for all these different population circumstances! Each population needs to be managed according to its own specific situation! So what good is the concept of endangered species? It erroneously, but most definitely, declares ALL the species’ populations to be UNSAFE – even those that are decidedly SAFE or EXCESSIVE. And that, in turn, demands that the species’ every population be treated according to the principles of preservation management (TOTAL protection from all harm) irrespective of its actual safety status. And the application of preservation management to SAFE and to EXCESSIVE populations – according to the principles and practices of wildlife management – represents MIS-management! This is a tragic and unnecessary consequence of an emotional and erroneous label – which has no validity in science. It is a notion, therfore, that should be erased from all wildlife-related arguments, thought processes and vocabularies. 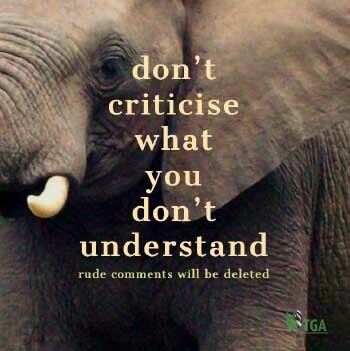 It is important to understand this reality when evaluating the utterances of the ARs at CITES – because they declare that ALL elephant populations are endangered and facing extinction – which is not true. Practically ALL the major elephant populations in Africa south of the Zambezi and Cunene Rivers, for example, are excessive. They urgently need drastic reduction in numbers. If this doesn’t happen southern Africa’s national parks will very soon face massive biological diversity losses, and eventually they will become deserts. So the endangered species concept is a fallacy; and it has no place in science-based wildlife management. Many people believe that CITES is linked to organised crime. I am one who is certain of it! To determine how and why this has happened, we have to examine the way the animal rights brigade functions. Criminal acts related to CITES, in fact, are a constant occurrence and they are closely associated with the AR’s propaganda machinery. It is the way they make their money and it has been going on for decades. Every year the bigger AR NGOs earn hundreds of millions of US dollars by seemingly innocuous – but overtly criminal – acts. The fact that the animal rightists are guilty of such activity, however, is “an elephant in the room” that nobody ever wants to talk about. I have had a legal opinion on their modus operandi, so I am entirely comfortable opening up this can of worms here and now. If we don’t talk about it we will never get to the bottom of the AR problem at CITES – and elsewhere. So let’s talk about it! Ideal – or injuring an institution, cause or person – by any means, true or false. Propaganda, therefore, has nothing to do with telling the truth! And it has everything to do with racketeering, deception and fraud. NB: “Racketeering is a pattern of illegal activity carried out as part of a criminal enterprise that is owned or controlled by those who are engaged in the illegal activity (ref. Racketeer Influenced and Corruption Organisation [RICO] Act, USA ). And racketeering is one of 35 criminal acts associated with organised crime. A racket is the organised mechanism that is used to obtain money (fraudulently) from the public.” Hence their propaganda machinery represents the AR’s racket. It is important that this issue is properly understood – because it is central to why the sovereign states of the world – and SADC – should demand that the accredited AR NGOs be expelled from CITES. Throughout the two/three year run-up to CoP17 (CITES 2016), the animal rightists went to great lengths to convince the general public in the First World that the elephant was an endangered species; and that it was facing extinction. Both these assertions are untrue. Joseph Goebels – the Nazi propaganda minister for the German Third Reich during World War II – claimed that if you tell a lie a thousand times it becomes the truth (in the public mind). This is exactly what happened within First World society in 2014, 2015 & 2016. The AR NGOs – by constant repetition of the lie – convinced the general public in the Western World that the elephant was facing extinction! How did they do this? They created an illusion – a totally imaginary situation – in the public mind. Whether it was true or not did not matter. What mattered was that it worked for the benefit of the ARs because they conditioned the general public to believe that it was true. When the illusion was well and truly set in the public mind, the perpetrators then set about soliciting money – a great deal of money – hundreds of millions of US dollars – which they said, they would use to make sure the elephant did not become extinct. And THAT action – soliciting money from the general public for purposes that were invalid – because the illusion did not exist – constitutes common fraud. According to the American RICO Act, if the same fraudulent act is carried out “more than once”, the activity becomes a criminal industry called “racketeering”. And the assertion that the elephant was facing extinction was not enacted just twice – it was repeated hundreds of thousands of times over a two or three year period. It was broadcast widely by every media outlet in every country in the world – on TV shows, on radio and in the written word. Ipso facto, this series of systematic criminal acts, perpetrated by a host of different AR NGOs, constituted organised crime. And – to my knowledge – none of these illicit funds came back to Africa to solve the so-called problem – the ARs’ illusion – for which the monies were collected. NB: Everybody has heard about the circumstances surrounding the killing of “Cecil the Lion”. What most people don’t know is that none of Cecil’s story – given out by the AR NGOs world-wide – was true. He was not an important pride male that had been enticed out of Hwange National Park and shot illegally by a hunter. Cecil had been evicted from his pride inside the park by a more dominant and stronger young male and he had been chased away from his former family. So, he was old and surplus to the game reserve’s lion population – and he had voluntarily taken up a permanent new residence (home range) on private land outside the national park. And there he had been shot legally. He was, in fact, one of 65 other lions that had been hunted, legally, outside the park boundary. He was also one of 45 that had had research collars placed around their necks – by scientists from Oxford University in England. The shooting of these tagged lions was part of the scientists’ research programme – the purpose of which was to determine just what happened to territorial male lions after they had been deposed by stronger and younger challengers inside the national park. This mafia largely comprises the accredited AR NGOs who now command the tone at every CITES convention. These are the people who are turning CITES from being an organisation that is supposed to promote and regulate the legal trade in wildlife and wildlife products (on behalf of it’s the sovereign state members) into an animal rights controlled organisation that prohibits the wildlife trade. Methinks this is not acceptable! It is time that Africa talks. It is time for Africa to take charge of its own destiny! NB: One of the promises that CITES made to its sovereign state members – when they joined the convention – was that it would stop the illegal trade by restricting the movement of wildlife and wildlife products from one country to another through the issuance of CITES permits for legal trade commodities. In theory, if everyone had complied with this arrangement, transacting the black-market wildlife business would then have become very difficult. In reality, however, the proper issuance of CITES permits only happened in those countries where governance was relatively good. Where governance was bad, the political elite were normally involved in the black market – even led it – and the export of wildlife contraband occurred smoothly and simply by way of presidential or ministerial decree. As a consequence, the AR NGOs declared that the only way to stop the illegal wildlife trade was to prohibit wildlife trade altogether; and ever greater restrictions on trade have been coming out of CITES ever since. This means that those countries with good governance – which applied the CITES permit system properly – are being penalised because CITES has been unable to control the illegal trade in those countries with bad governance. This is not only grossly unfair it is also highly damaging to the wildlife resources of the properly governed countries and to their progressive wildlife industries. So it is not good for Africa’s wildlife, generally. The fact of the matter is that CITES cannot make good on its promises because they were ill-conceived in the first place and they have proved, in practice, to be unworkable. This is another reason why CITES needs to be rendered extinct. NB: Some African delegations had wanted to resign from CITES at Cop17 in Johannesburg. What stopped them? We don’t know but, in retrospect, we have a good idea. Most normal, happy, responsible and intelligent people – who have only a casual interest in CITES – no doubt believe that consensus opinion is probably the most equitable and honest way to determine the outcome of debates at CITES. Such observer-judges, however, don’t bother to investigate the surrounding circumstances. If they did, they would understand (see above) that such an opinion is not a valid interpretation. There are far too many cases of bribery and corruption for people in the know to give CITES a clean bill of health. Furthermore, it is not acceptable, and it is unreasonable (to the range states), that people who have no knowledge about even the basic principles of wildlife management – and who know nothing about the management needs of the particular animal species on the agenda – are required to make intelligent, scientific and irrevocable management decisions on every species on the planet. As a consequence of this abnormal state of affairs, the range states have lost control of their own wildlife heritage. And they know how and why – because each range state is “one of them”, too! As the tables turn, each sovereign state becomes one of the strangers who are required to make management decisions about another country’s wild animal and wild plant species that they don’t know and don’t understand. But that is how the CITES system is designed to work – and why it doesn’t work! This attitude – this feeling – had filtered down to several African delegates prior to CITES CoP17. They were delegates who, long before CoP17, had declared their wish (as a consequence of all the foregoing) to resign from the convention. But no resignations happened – and CoP17 came to such an abrupt conclusion I didn’t have time to properly investigate the reasons why. Immediately after CoP17, however, I was informed by very reliable sources that the American (Obama) delegation had invoked the provisions of the “The Pelly Amendment”, during the convention, to resolve several problems of which they disapproved. Up until CoP17, I had never heard of the Pelly Amendment! That fact alone, tells me that what I had been told was undoubtedly true. I was told the American delegation at CoP17 had used this American legal instrument to quash those dissenting sovereign state members who had expressed a desire to resign from CITES. I don’t know any of the details but there is no doubt in my mind that the Americans – of the Obama administration – DID use it to force compliances of one kind or another at this convention meeting. NB: The Pelly Amendment is – essentially – a piece of American legislation that allows America to apply economic sanctions on any country that utters (or acts) in any manner that “goes against America’s wishes”. The Americans use the Pelly Amendment to “encourage” what they call “environmental cooperation”. Clearly America does not want CITES to collapse – which might have happened, had a large block of African states resigned from the convention during Cop17. Most intelligent people, au fait with the CITES conditions, know that there is a lot of dissent within the African camp at CITES; and that should one or two African sovereign states resign, it is likely that others would quickly follow. The general feelings of those people I have discussed this with, is that they believe the application of the Pelly Amendment is tantamount to an act of terrorism. This opinion is based on the following dictionary definition: Terrorism, the dictionary tells me, is simply “to persuade other people to your way of thinking by coercive means”. Surely the use of the Pelly Amendment at CITES in 2017, therefore, does brand America (under the Obama administration in 2016) as being a nation that practices and approves of terrorism? Surely, if an African country wishes to resign from CITES it should be allowed to do so? What right does America have to force any African country NOT to resign from a corrupt and disintegrating organisation that serves it no useful purpose; that stops the progressive development of a country’s wildlife industry by denying it access to vital international markets; and that fact actually – thus! – seriously threatens to destroy Africa’s wildlife heritage in the longer term? The people that know best how to manage Africa and its living resources, are the Africans – NOT the Americans. NB: Responsible sovereign states in Africa are very conscious of the human population explosion that is happening right under their noses. They are well aware that the 750 million people that currently exist in Africa south of the Sahara Desert will become over 4 billion by the turn of the century; and they want to start putting into place NOW, systems that will accommodate the needs of this avalanche of humanity. They also know that unless they integrate the expected needs of this mass of people, with the known needs of the continent’s wildlife, the people will overrun the national parks like an uncontrollable tsunami; and Africa’s wildlife will be lost forever. The only thing that will work, for both sides of this equation, is if the people and the wildlife can be made to live in symbiotic harmony. That means the constant and sustainable harvest of the renewable wildlife resource to create conditions that will enable the people to comfortably survive, too. There is no other workable solution! None of this will be possible under present conditions, however, because the accredited animal rightist NGOs at CITES will make sure such a plan of action never happens. The article goes on to say: “The Pelly amendment should remain available as a tool of last resort; (AND) The U.S. government should aim to achieve a better balance between caution and credibility in the use of this tool.”It would appear that the American (Obama) administration truly believed (at Cop17) that the use of such pernicious gunboat diplomacy was still a just and honourable way for one dominant nation to “encourage” environmental cooperation from lesser nations that have different wildlife cultures to their own. This state of affairs is fraught with great danger for the southern states of Africa, particularly, when it is understood that the Americans define their own wildlife culture as being “anti-market-hunting” and when the southern African wildlife culture is decidedly “commercial”. The American and southern African wildlife cultures, therefore, are diametrically opposed. Essentially what this means is that America will always oppose the SADC states if and/or when they propose that CITES should allow them to open up an international market for ivory and/or rhino horn – or any other commodity derived from wild living resources? Does this mean that if South Africa proposes the opening up of an international trade in “farmed” rhino horn at Cop18 (in two years time), that we will be subjected to economic sanctions consequent upon the Americans applying their Pelly Amendment? A basic tenet of business administration is that an organisation will succeed only if and/or when its employees strive diligently and voluntarily to achieve its business objectives. Businesses will flounder when their employees are “passengers” – when they have accepted employment only because of the pay cheques they received at the end of every month; and because they also enjoy the perks that the business offers. And businesses will fail when their employees are saboteurs – when their employees actively strive to make sure the organisation’s objectives are never achieved. There are many good, honourable and responsible NGOs who have been accredited to CITES since its inception. These NGOs are filled with people who genuinely want to help CITES achieve its goals – of promoting and regulating sustainable wildlife trade; and who want to help stop the illegal trade. At the same time, there are many other NGOs accredited to CITES whose sole purpose in having become members of the convention, is to achieve their own parochial, doctrinaire, fanatical and extreme objectives – to abolish all animal uses by man. And they will stop at nothing until all wildlife trade is prohibited. These latter NGOs – all animal rightists – are good examples of what successful business people refer to as saboteurs. The saboteurs – the AR NGOs – have a totally selfish agenda, therefore, which revolves around them using their official accreditations to CITES – and their official participation in the functions of the convention – to legitimize the so-called facts of the lies that they tell in their propaganda. In other words, they use their official association with CITES to generate extra credibility for the fabrications in their propaganda. This self-serving manoeuvre is, in fact, crucial to the success of their fraudulent activities. When a person or NGO, with strong AR inclinations, joins an operation like CITES, there can only be one reason for them doing so. Sabotage! There is no possibility at all that an AR person, or an AR NGO, would join CITES for the purpose of helping the convention to better promote and/or to better regulate the wildlife trade. Their purpose is just the opposite. It is the ARs objective to turn CITES into an organisation that prohibits the wildlife trade – and the louder, the more disruptive, the more intimidating and the more emotional they make their arguments – at CITES AND in the big wide world outside – the more do they succeed. CITES, therefore, is doomed. If the sovereign states continue to timidly acquiesce to the bombastic demands of the animal rights brigade at CITES, it won’t be long before CITES will be denying all and every kind of wildlife trade. CITES has already, in fact, almost reached that stage. The original purpose of the convention, therefore, is already nearly defunct. And when CITES no longer allows the wildlife trade, its purpose will have been totally usurped. It is then that the sovereign states will abandon CITES like a deciduous tree loses its leaves in autumn. Let us hope that – should this stage ever be reached – that there is then enough wildlife left in Africa to salvage. It would be better if CITES was forced to disintegrated – NOW – when the damage that has been caused by the convention’s ill-conceived rules and regulations, can be remedied… while the countries of Africa still have the time and the opportunity to implement their own plans for their own management of their own wildlife. The future of CITES – and of the most important people comprising the convention (the 183 sovereign state members) – is in the hands of the sovereign states themselves. It is within their power to demand a change in the accreditation rules – to insist that any and all NGOs at CITES be required to subscribe to new criteria that will embrace conformists and purge saboteurs. For example: only people and organisations that endorse the CITES objectives – to promote and to regulate sustainable wildlife trade and to stop the illegal trade – will be permitted accreditation. Only people and organisations that embrace the sustainable-use-of-wildlife philosophy – such as that contained within the IUCN’s World Conservation Strategy (1980) – will be permitted accreditation. And those people and organisations that have doctrinaire objections to the sustainable-use of wildlife, and to sustainable wildlife trade, will be rejected out of hand. And what if CITES refuses to entertain such a plan? IF CITES refuses to consider this constructive solution to the dire problem of having destructive saboteurs at the helm during every convention meeting – bribing- saboteurs who also conspire with influential African people on the ground between convention meetings – the sovereign states are going to have to dig deep into their consciences. If they lack pride – or their pride doesn’t matter – and they are prepared to condone all the negative factors (pointed out above) about having animal rightist NGOs accredited to the convention, they can elect to continue dancing to the tunes of these nefarious people – and they can go down with the sinking ship when CITES eventually gives up the ghost. What is most at risk in South Africa is the country’s entire avant garde and highly successful wildlife industry – annually earning billions of South African Rands; annually employing tens of thousands of people. With CITES’ opinion, and the world’s wildlife opinion, in the hands of the animal rights brigade, however, it is not beyond the realms of possibility that the animal rightists will succeed (if not altogether, at least in considerable measure) in banning: international trophy hunting; domestic recreational hunting; the sale of game meat; private wild animal ownership; the existence of game ranches and game fences; the opening up of legal international markets for wildlife products – including ivory and elephant hide, rhino horn and farm-bred lion carcasses; and a whole lot more. Skeptics need to remember how the animal rightists persuaded a whole host of international airlines to stop transporting game trophies and sporting rifles to and from Africa; and how they infiltrated the American US Fish and Wildlife Service and persuaded that highly influential organ of the American government to ban the importation to America of legally acquired elephant hunting trophies from Zimbabwe. Don’t think otherwise than that the AR NGOs at CITES can still cause the states of southern Africa – and the wildlife resources of this whole region – a whole lot of additional irreparable damage. If those sovereign states who decide they have had enough of the AR circus at CITES; decide they are too proud to put up with being treated like children anymore; decide they are fed up being continually involved with racketeers and organised crime; decide they want to take back control of their own wildlife’s management and trade – they can resign. If they are fearful of the consequences from America (vis-à-vis the Pelly Amendment) they can organise themselves into a dissident bloc of nations that resign together under the common banner of a joint communiqué. It is unlikely that America will try to quash them all at the same time. And it is my belief that this is what the countries of SADC should do. NB: If the whole of the SADC bloc were to resign from CITES, that action alone would make the rest of the world sit up and take notice. At the moment, the rest of the world may well be in-tune with the AR agenda – because they don’t know any better – but the rest of the world COULD NOT, and WOULD NOT, disregard the resignation of all the countries in the southern half of Africa. This is, perhaps, the ONLY way that Africa can get the rest of the world to understand the pernicious nature of the animal rights brigade. 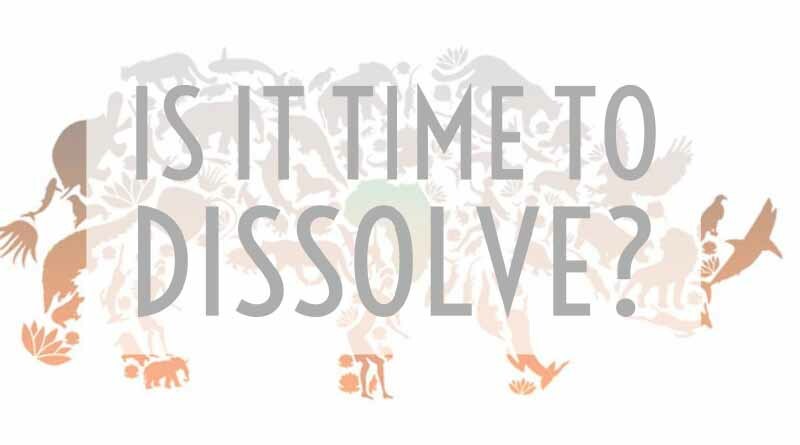 In my opinion, it is time for CITES to be dissolved. The convention no longer provides a beneficial service to its sovereign state members – quite the contrary. CITES – because of the activities of its accredited animal rights NGOs – is now an impediment to best practice wildlife management in Africa as a whole. It represents a barrier to progress in the sophisticated and advanced wildlife industries of southern Africa in particular – which, if they are not to stagnate, all require the opening up of honest, sustainable, credible, controllable and transparent international wildlife trade. All the private rhino owners and their management experts in southern Africa agree that international trade in rhino horn is now an essential requirement if our black and white rhinos are to survive the ignominy of extinction. They can no longer afford to procrastinate – to beg for better understanding of their well constructed rationale from the thoroughly AR-indoctrinated world community – or to wait for an intransigent CITES Secretariat to make up its mind about whether or not it should disregard the objections of its accredited AR NGOs. Enough is enough! Trade is necessary NOW. The wheel is turning. The world is fed up with the doctrinaire extremism, and the fanaticism, that characterises animal rights activism. It is time that we all fight back. Africa needs common sense, above all else, to be returned to the African wildlife management scene. And SADC has nothing to lose and a whole lot to gain from the rebirth of an honest and properly functioning CITES – and/or from the dissolution of the currently corrupted CITES (that is now of no real “use” to its members). So, let it be SADC that flights the first arrow! Thank you, Ron, for putting it forward so concisely and accurately.It echoes my sentiments exactly. I recently wrote a similar open letter to the Honourable Minister Edna Molewa, asking for an Audit of all the Environmental NGOs and Charities that claim to be involved with Nature Conservation in South Africa. I requested that a minimum of 60% of donations garnered, be set as the borderline measure of merit, and that organisations that spent less than this, be taxed, and shown the door. For to long have these confidence tricksters been allowed to syphon off funds that is intended for Nature Conservation. Their nefarious methods are undermining real Nature Conservation, as their lies are obscuring the reality of Wildlife management. Thank you for your valuable support. We are on the same page. May I suggest two things: (1) That you share this blog with as many people as you can; and (2) If you haven’t already done so, that you join the TGA as a paid-up member. Membership doesn’t cost an arm and a leg and we will be unable to keep pushing out this kind of information without the financial support that our members provide. Other than donations, we have no other source of income. The latest membership application forms are available on the website: https://www.mahohboh.org.